There's more than one way to prepare apples. From pies to pizza, these perfect-for-fall dishes work great with the superfood. Did you come back from apple picking with more fruit than you know what do with? From pies to pizza, these recipes make perfect-for-fall dishes. Do baked apples sound boring? 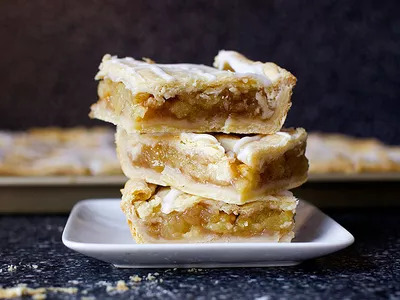 Not these beauties, which Sally, of Sally's Baking Addiction, describes as "everything you love about apple pie–the gooey cinnamon filling, the warm apples, the buttery homemade pie crust–all baked inside an apple." 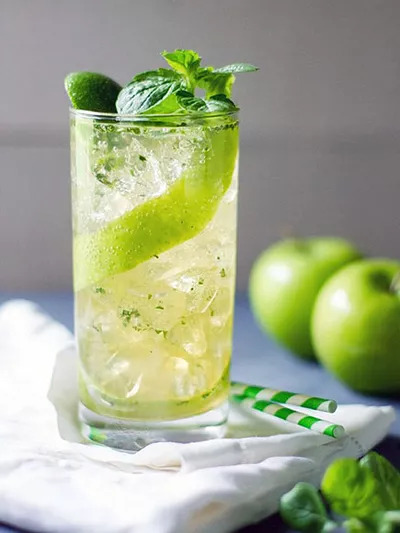 When mojitos became supertrendy a few years ago, the apple version quickly became a favorite and has remained so. The Chasing Delicious blog’s libation gets its fruitiness from an apple juice reduction, which provides a subtle taste. Want more of an apple kick? Try substituting apple-flavored rum. 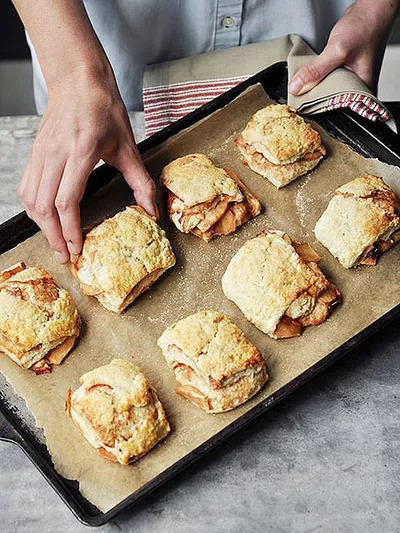 If you've ever made biscuits that came out of the oven smelling great but had the texture of a baseball, follow blogger Joy the Baker's advice and use self-rising flour to make these cinnamon-spiced Fuji apple biscuits. This type of flour has a lower-protein content, which delivers light and fluffy goods. With its higher crust-to-filling ratio, a slab pie is a crust lover's dream come true. Deb of Smitten Kitchen created a crust that's especially flaky and buttery and totally deserving of the pie's sweet filling: apples scented with cinnamon, nutmeg and allspice, the triple crown of baking spices. Never settle for one flavored doughnut if you can have three. 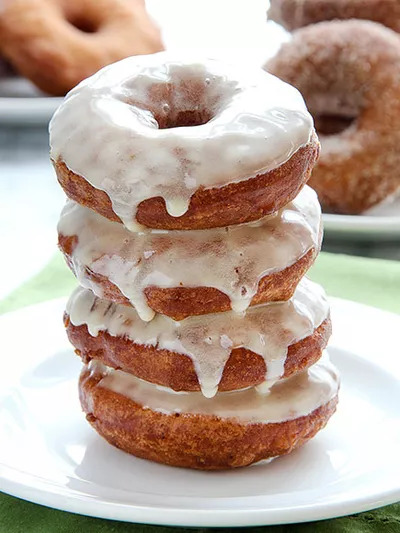 When Rachel, the blogger behind Baked By Rachel, made her first-ever batch of apple cider doughnuts, she prepared them three ways: plain, with cinnamon-sugar and topped with caramel icing. No wonder her family gobbled them up quickly! We'd happily match them bite for bite. Imagine starting your day with pancakes that taste like apple pie. 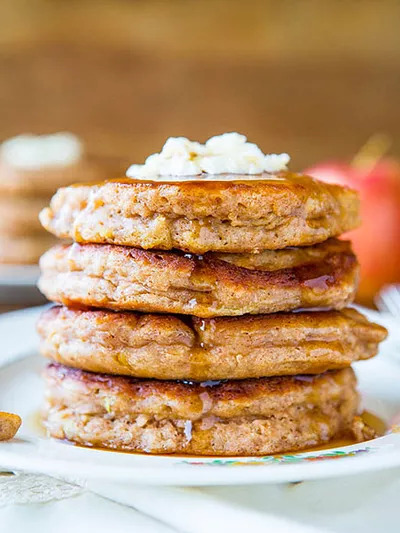 Blogger Averie, of Averie Cooks, came up with a simple recipe–just throw a grated apple into pancake batter spiced with cinnamon, nutmeg and cloves and put your griddle to work. To make the pancakes more pie-ish, she topped her stack with vanilla maple syrup and vanilla maple butter. And she promises, "Your house definitely will smell like fall after making a batch of these." Think of them as rectangular muffins. 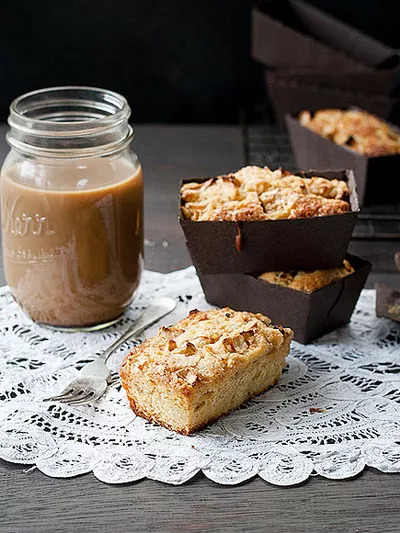 Made with three different grains (whole wheat flour, cornmeal and oat flour), apples and candied ginger, these adorable treats from Top With Cinnamon have a sweet and spicy personality, perfect for brunch, a midday snack, a late-afternoon hunger attack–meaning, anytime! This isn't the usual slice from your local pizza joint. 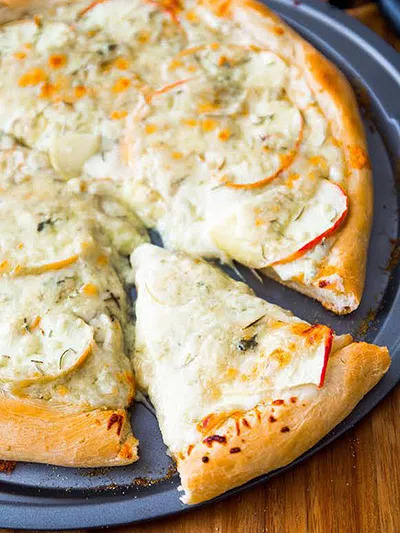 Gorgonzola cheese subs for mozzarella, rosemary for basil, and apples instead of mushrooms or other topping. And–surprise!–there’s no tomato sauce but there is a touch of honey. “It’s not weird, I promise,” says Sally of Sally’s Baking Addiction. “It is like nothing you’ve ever tasted before.” Sweet and salty in each bite? We’ll take two slices to go, please! 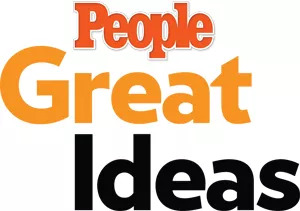 Check out 7 more ingenious ways to use apples at PEOPLE Great Ideas.